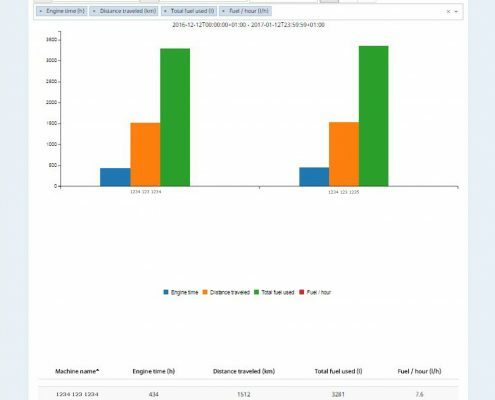 Measure, visualize and follow up! 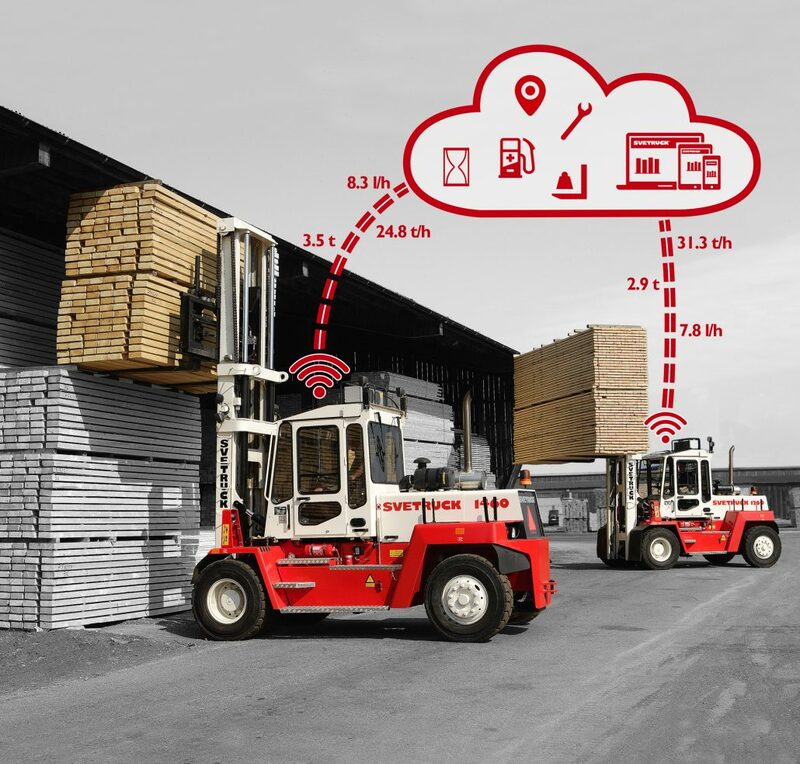 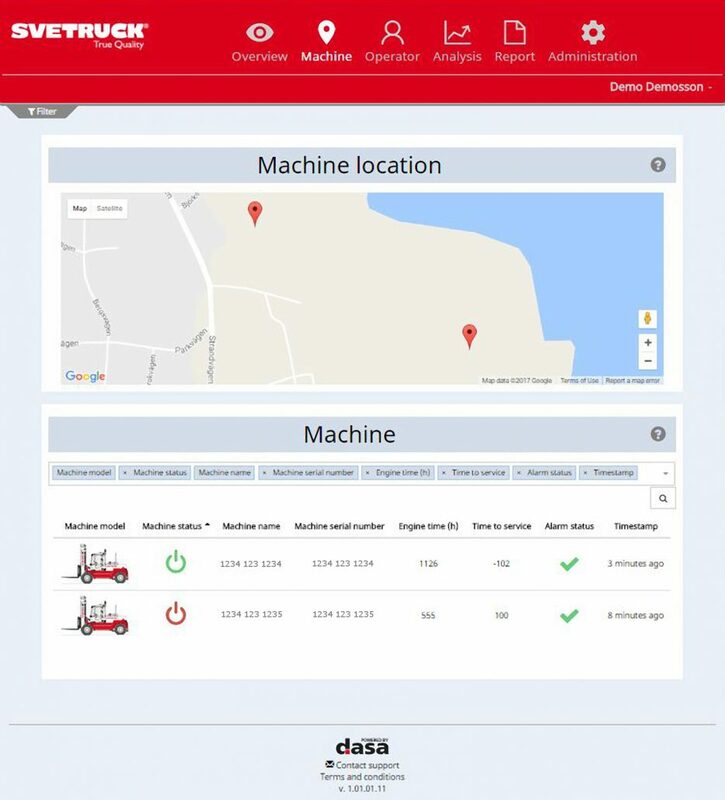 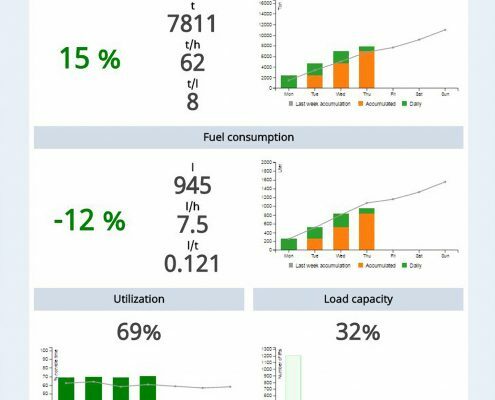 Easy and efficient fleet management for machine maintenance, operation cost and production economy. 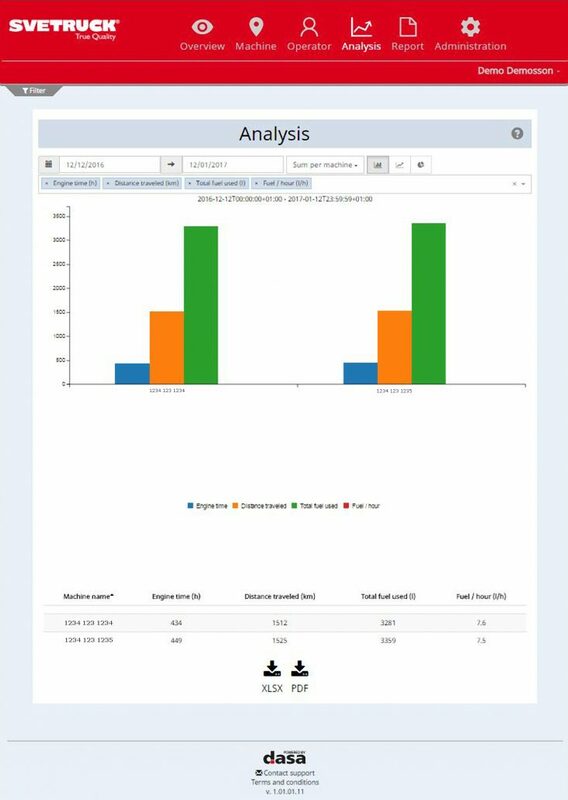 All provided through a stable cloud application, easy accessed from any web browser. 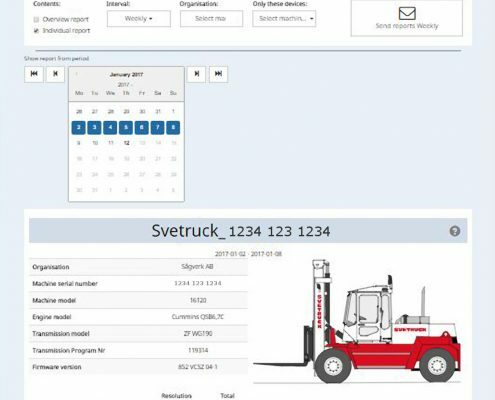 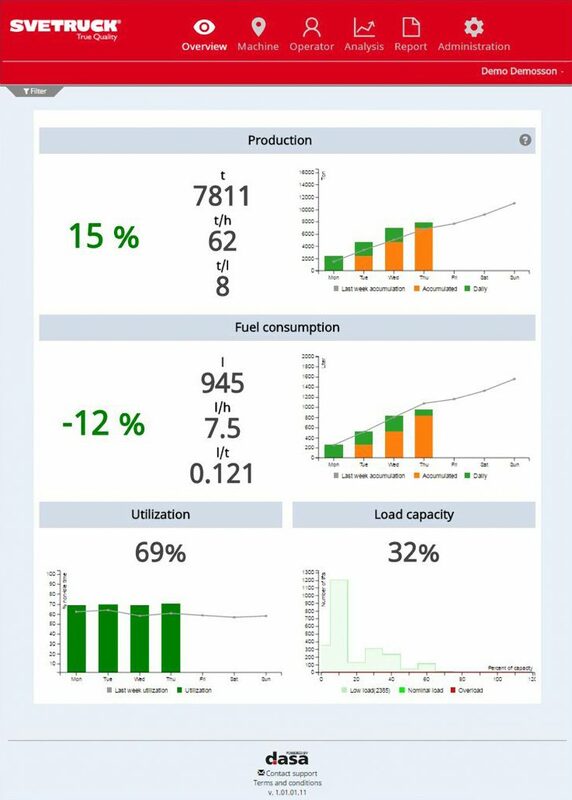 SveCare 2.0 is designed for monitoring and follow up, providing information for maximized uptime and improved productivity. 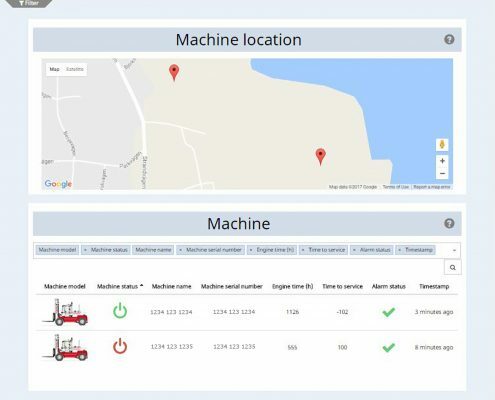 A well-arranged solution for the machine owner, the operator and the service organization. 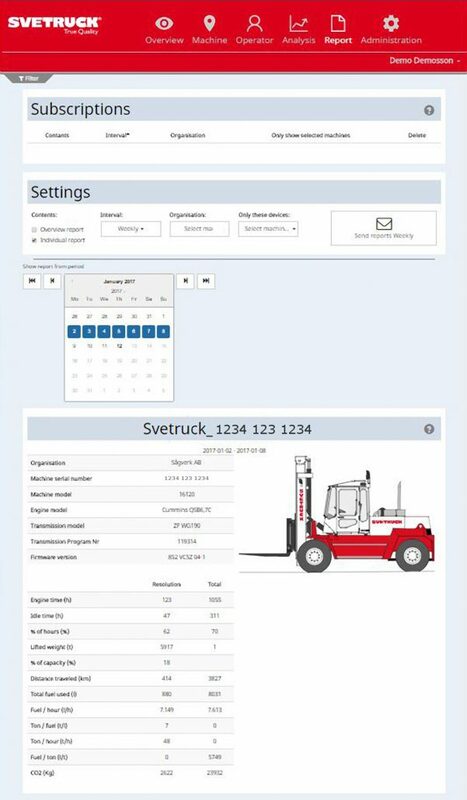 Do you want to connect to SveCare 2.0?